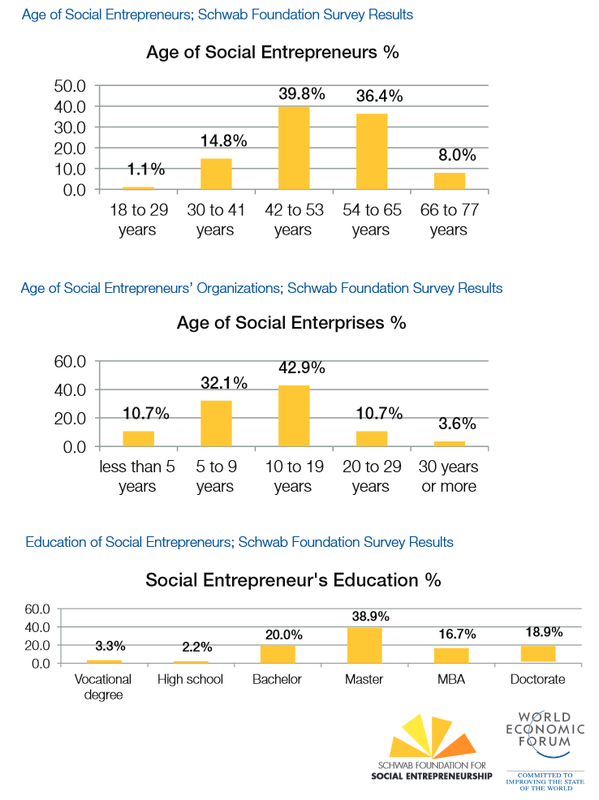 Scooper - Technology News: 3 models of social entrepreneurship: Which is the most successful? 3 models of social entrepreneurship: Which is the most successful? Social entrepreneurship is on the rise. Sixty percent of all social enterprises today were founded only within the past eight years, according to Harvard Business Review. There are many passionate, energetic people willing to roll up their sleeves to help rid the world of poverty, hunger, joblessness, lack of water and proper sanitation, and other enormous problems. Yet often their efforts fall by the wayside, usually due to a lack of sufficient funding. What’s the best model for success: a for-profit with a charitable mission? Social impact investing? A traditional philanthropic foundation? And once your organization is up and running, how do you ensure its long-term survival? At the recent Wharton Africa Business Forum, three social entrepreneurs described their various financing approaches and the issues they are tackling on the African continent: from protecting children from serious water-borne illnesses, to providing families with alternatives to dangerous kerosene lamps, to training unconventional candidates for software jobs. Jones is the founder and CEO of FACE Africa, a non-profit organization working to improve access to safe drinking water and sanitation in Liberia. She explained that she initially intended to focus her efforts on education (FACE actually stands for “Fund a Child’s Education”), but quickly realized that to get children to attend school at all, enabling access to clean water was job one. “Children were not showing up to schools for long periods because of water-borne illnesses like diarrhea and typhoid.” She added that according to the World Bank, water-related diseases kill more African children under five than HIV/AIDS, malaria and measles combined. The water problem has an economic impact as well, according to Jones. “Women in Africa spend 60% of their day walking to fetch water, and the continent loses 40 billion potential work hours every single year collecting water.” With clean water located close by, women could take on other kinds of work and improve their families’ quality of life. Since its inception in 2009, FACE Africa has completed 50 community water projects impacting 25,000 people in 35 communities in Liberia. Jones said her goal is to provide 100% water access to one region in Liberia so that the successful model could be replicated in other parts of the country and continent. Jones noted that “good old-fashioned philanthropy” of the kind practiced by FACE Africa tends to be discounted these days. “Every solution now has to be market-based, and there’s this pressure for nonprofits … to create, market and sell products and services to the poor.” But in Jones’s view, when it comes to providing basic social services to “some of the most marginalized populations … services that should by right be provided by government but are not,” a for-profit answer is often not enough. Jones’ fellow panelist, Adam Frankel, described a market-based approach to a particular social problem. Frankel, formerly a speechwriter for President Obama, was until recently the CMO of Andela, a venture-backed, for-profit start-up that has received coverage in major media including Forbes, Inc., Wired, CNN and The New Yorker. Andela identifies talented individuals from all over Africa and trains them to become software engineers. Frankel said that most of the people who come into the program have some technical background — for example, a graduate degree from an African university in science, electrical engineering or chemical engineering — but are not necessarily working as software developers. After a rigorous application process, those selected are enrolled in a four-year program at an Andela campus in Nigeria or Kenya. For the first six months they are intensively trained in software development and in general business “soft skills,” then begin working remotely for companies around the world. Andela’s clients include Microsoft and a number of smaller companies in energy, financial services, executive education, social media and entertainment. Across much of Africa, families with no access to electricity use kerosene to light their homes. Yet inhaling the fumes from one kerosene lamp has been likened to smoking 40 cigarettes a day. Indoor smoke causes about 400,000 deaths a year in sub-Saharan Africa, according to the Financial Times. Cochran described some of the reasons Blue Haven chose to invest in M-Kopa rather than another renewable energy company. One was M-Kopa’s willingness to pilot and innovate. The system costs about $175, but M-Kopa gives it to customers for a $30 deposit and allows them to pay a little every day over a year (365 daily mobile payments of 50 cents) to own the system outright. If customers don’t pay, the system can be shut down remotely from the company’s offices. Cochran called this pay-as-you-go model “pretty innovative” (in fact, it has engendered other companies with similar offerings). She noted that the arrangement provides consumer financing for people with no credit score or access to a credit card. Cochran described some of the reasons Blue Haven chose to invest in M-Kopa rather than another renewable energy company. One was M-Kopa’s willingness to pilot and innovate. For example, the company experimented with how much background checking was actually necessary to predict customers’ financial reliability. They also innovated in logistics, finding the fastest, cheapest way to deliver their systems. Their customer service is a strength as well, in Cochran’s view. She said that M-Kopa’s 700 representatives across three countries “speak an unknown number of dialects” and are focused on answering questions as quickly as possible. “When you are asking people to transition from kerosene, they know the guy that sells them kerosene, they know it works, even if it’s dirty and dangerous. You have to engender trust in your customers.” According to Cochran, M-Kopa now has about 250,000 homes on its system, and boasts a repayment rate of 95% within 12 to 14 months of customers’ initial purchase. Saran Kaba Jones is the founder and CEO of FACE Africa. Adam Frankel is the senior director of CEO communications at PepsiCo. Lauren Cochran is the director of private investments at Blue Haven Initiative.